Gluten free pasta was battling a negative perception that its taste could be likened to cardboard. This was perpetuated by a marketplace that made noodles by combining two grains together. Ronzoni solved the taste malaise with a delicious combination of four different grains – white rice, brown rice, corn and quinoa – to make a delicious pasta that was far superior to the competition. 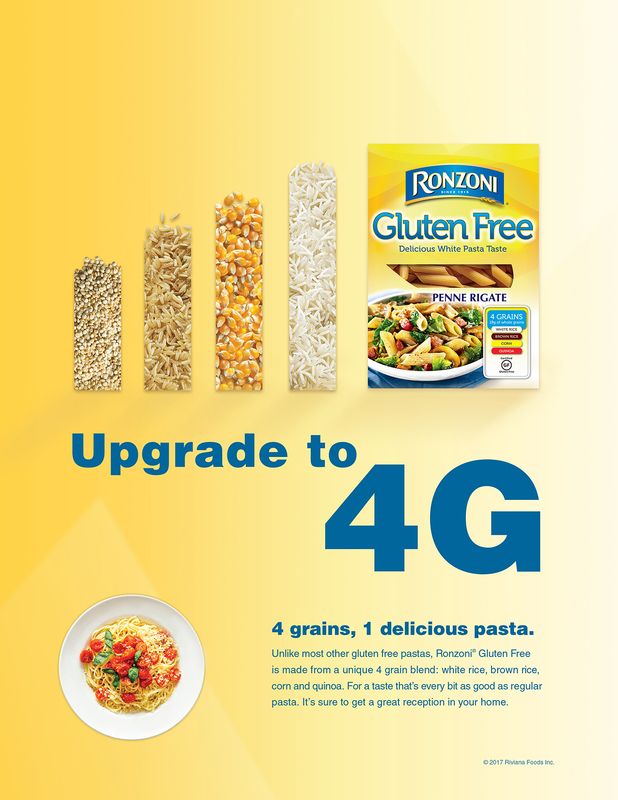 Millennium developed an integrated campaign that offered a surprising twist on the ubiquitous messaging of warring cell phone carriers to demonstrate how the combination of four grains provided consumers with a serious upgrade over the competition. The program included a custom landing page and various digital, print and social assets highlighted by an eye-catching 3D video that brought the value proposition to life. Consumers registered their satisfaction in the grocery aisle, online and at their dinner tables.